· The ROTOXKIT M is a 24-48h assay based on mortality of the test organisms, with calculation of the 24hLC50. · Minimal equipment needed for test performance: dissecting microscope - small incubator - conventional laboratory glass-ware. · Specially designed « all in one » micro-plates with hatching trough, rinsing troughs and test wells for easy and rapid transfer of the test organisms under a dissecting microscope. · Simple handlings and scorings· Total performance time approximately 1 hour. · Very chemical dependent, but quite sensitive to particular chemicals and mixtures. · Sensitivity can be increased substantially by extending the exposure time from 24h to 48h. 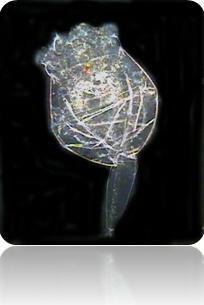 · Brachionus plicatilis is a euryhaline species which allows performing bioassays on waters in a salinity range from 5ppt (brackish water) to 35ppt (seawater). A list of selected references is available upon request.